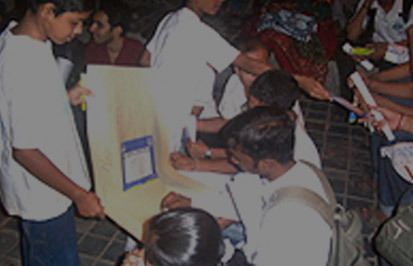 Club Enerji at Batti-Bandh 2009. 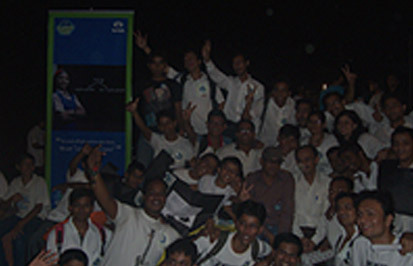 Tata Power Club Eenrji joined in for Batti Bandh in Mumbai, on the 12th of December 2009. The club, represented by 40 of its members both from college and schools were present to sensitize the general public on energy conservation and saving electricity. It was a nation-wide lights off drive initiated by the Batti Bandh group that aimed at spreading the message by switching off lights from 7:30 to 8:30 pm. It was a voluntary act of switching off electricity for one hour to show the world what they stood for. The event began with a walking rally, which started from Hill road to Bandstand to Carter Road. 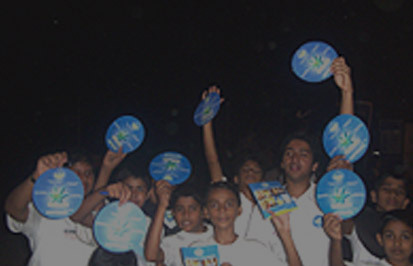 In the rally, the schoolchildren were dressed as diyas which symbolized to ignite awareness on Energy Conservation. The entire team was vigorously shouting "Bachana Hai, Bachana Hai, Bijli ko Bachana Hai, Bathi Bandh Bathi Bandh, 7:30 ko Batii Bandh". The volunteers shouting slogans moved along the streets and were successful in gaining attention in the neighborhood. This effort sparked the curiosity and interest of passers-by as well as homes on the way. During the walk the team was continuously urging the masses to see the necessity for energy conservation. At the amphitheatre on Carter Road, the volunteers lit candles at 7:30 pm, as a symbol of igniting the minds about the need for energy conservation. 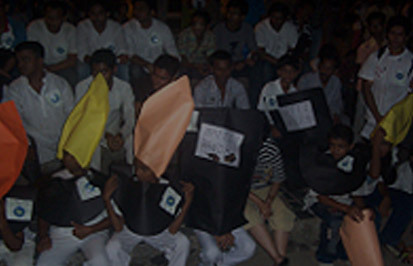 A Street Play was performed interspersed with a series of songs composed by the young team. The theatrical representation highlighted the growing demands of power, common modes of power wastage and its consequences that could lead to an energy crisis. Songs on Bijlee Bachao and Little Bijli were also sung in chorus by the members. The Signature Campaign was carried out simultaneously and Tata Power Energy Conservation Booklets were distributed among the audience which gave them tips on saving electricity. Various media channels like TV 9, CNN IBN, Zee-TV. Mid-Day and DNA etc were also present to cover the event.